After last week, flying each day except Saturday. 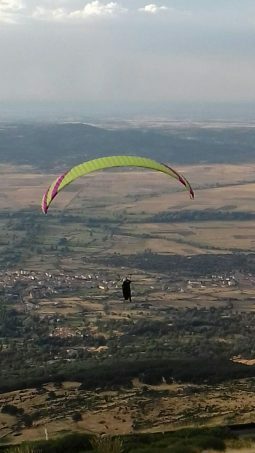 This week we managed to fly both Monday (Navalacruz and PN) and Tuesday (PN), before the clouds got out of control, but just local flying. Today (Wednesday) with a nice light wind forecast Tim was able to spend much of the day in the air on his flight to Avila and back most of the way to the Pass. 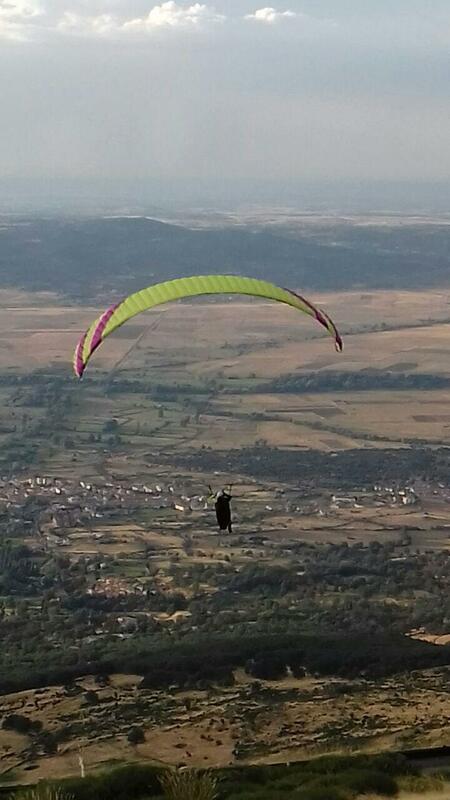 I stayed local running the other pilots up the hill (4 times) whilst Ester collected Tim. This week we have a demo of the Psi tenor (thanks Parapente Factory and Lodi). Here is a pic of me Steve flying it below. Posted: Wednesday, September 19th, 2018 at 23:03 by Steve in Daily Report, Flying Journal.